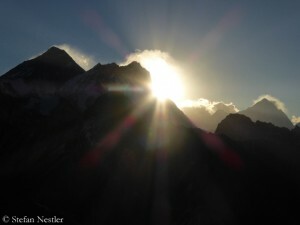 Super Sunday on Makalu. Two German female climbers reached the 8485-meter-high summit of the fifth highest mountain in the world on 25 May: Heidi Sand and Billi Bierling. 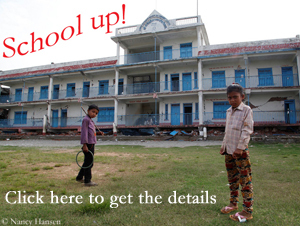 Both were members of the team of Himalayan Experience. 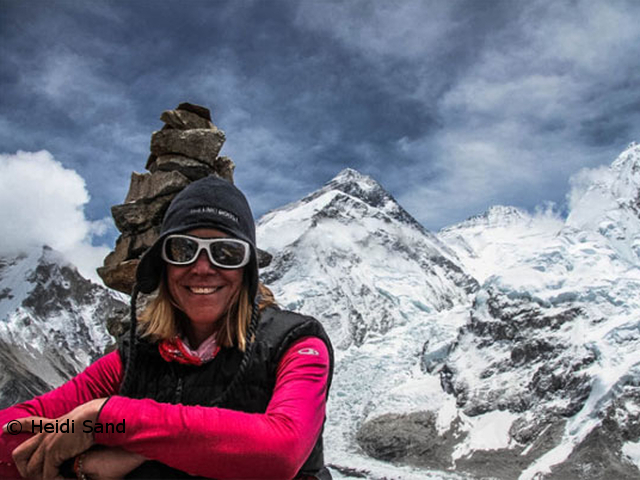 Therefore I am tempted to say that both are the first German women on Makalu.Heidi Sand was motivated to do high altitude mountaineering by a serious illness. When she was 43 years old, the sculptor from the town of Stuttgart she got the devastating diagnosis: colon cancer. She swore: If I survive, I will scale Mount Everest. Both happened. Heidi fought the cancer and reached the top of the world in 2012. In 2013, she scaled Cho Oyu – and now at the age of 47 years her third eight-thousander Makalu. Many know Billi Bierling as the assistant of the legendary Himalayan chronicler Elizabeth Hawley. But the 46-year-old, who was born in the town of Garmisch-Partenkirchen in Germany, is not only living and working in Nepal but also climbing the highest mountains. In 2009, she scaled Mount Everest. 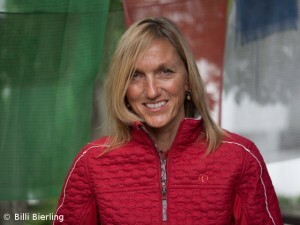 In 2010, Billi was the first German women on top of Manaslu, in 2011 of Lhotse. For her first three ascents of eight-thousanders she used bottled oxygen. In fall 2011, Billi summited Manaslu again, this time without oxygen mask. In fall 2012, she tried to climb Makalu without bottled oxygen but had to turn around at 7900 meters. 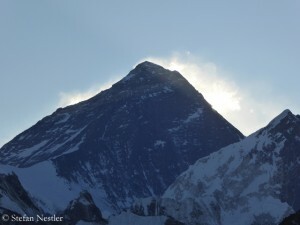 In 2013, Bierling scaled the 7861-meter-high Nuptse – and now Makalu. “I never thought i’d make it. It’s such a long and hard climb!”, she wrote on Twitter. Congratulations, Billi – and of course, Heidi! 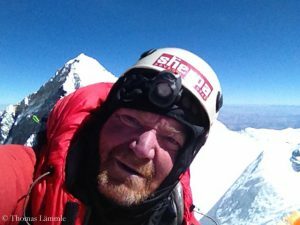 Actually, the German couple Alix von Melle and Luis Stitzinger had planned a second summit attempt on Makalu for last weekend after the first had failed. By now we have not heard anything from them. Having skaled six eight-thousanders, the 43-year-old Alix is the most successful German woman on the highest mountains of the world.